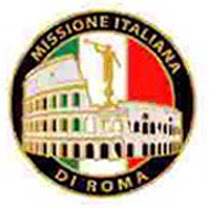 ITALY ROME MISSION: IT'S A MIRACLE!! GRAZIE for your prayers!! “Together we CAM” is indeed manifesting itself in so many positive ways both seen and unseen. Last Wednesday, Oct. 10th, Cam received a full body PET/CT scan. Positron emission tomography (PET) is similar to a nuclear medicine scan using an isotope (glucose) which is absorbed by any tumors. In other words, “lighting up” any evidence of cancer. The PET scan was also viewed along side a tomography CT), which was performed on the same equipment without moving Cam. This allows the tumors detected by the PET scan to be viewed next to the rest of the patient's anatomy detected by the CT scan. We received the results back from this scan and we are extremely relieved that the cancer had not moved up into his lungs or thorax and all the cancer that was throughout Cam’s abdomen and pelvis is NO LONGER PRESENT! Incredible, miraculous, nothing short of a major miracle. Also, his incision from his abdomen being opened up had become very infected has also now been healed!!!!! Cam’s challenge remains in his liver bilirubin (caused by trauma, blockage, infection, etc.) and is extremely high and causes him to be nauseated nearly around the clock; however, two other key indicators of the liver his ALT and AST have become better and better since they shot up to a high last Wednesday, which seems to be atypical from what very little I know. The focus now that his overall homeostasis is improving his liver (bilirubin) and focusing on the cancer within his GI track. We are in discussion with the oncologist that first saw Cam to see if he feels comfortable administering Chemo and what the implications are. Cam is very weak and is using all his reserves to fight the great fight within, vomiting up flam, and handling the constant pain in his back. Because he isn’t able to eat yet, he is being feed intravenously around the clock. We feel that the “law of the harvest” is bearing fruit in Cam’s life now. By keeping his body undefiled throughout his life, coupled with his personal faith, his body and spirit have deep reserves to handle this incredible force that has hit him. We also know that an “all knowing Creator” has been sending His spirit to comfort us and our Savior the “Balm of Gilead” has continued to heal and enable not only Cam but our entire family. We also continue to be amazed at the love you all offer us. We truly are on a journey of immense learning opportunities and personal discovery, which is allowing all of us to increase in our empathy for others and hopefully deepening our reservoirs of faith, belief and trust to help others in need. We are truly blessed and full of gratitude.